Custom Paragon Computer Attaché Case is made from 600-denier PolyCanvas. Imprinted Compu Attaché Case comes with front deluxe organizer that hides all documents and accessories. 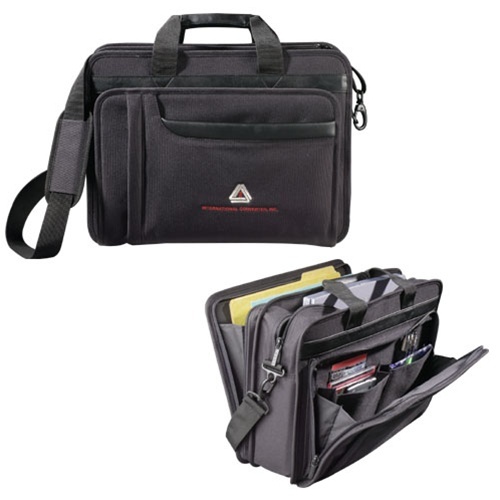 Custom Paragon Computer Attaché Case is available in Black color.